Water heaters are the third most energy-consuming source in an average American household. A good water heater is essential to carrying out your routine tasks as smoothly as possible, especially in the cold, freezing winters. Whether you’re installing a new water heater in your home or are repairing an old one, choosing the right one is crucial. You will have to make a choice between traditional tank water heaters and the more modern tankless water heaters. Pro Serve Plumbing can help you determine which water heater type is ideally suited for you tankless or traditional. We offer some of the most advanced as well as economically priced traditional and tankless water heaters in Fort Worth, Texas. 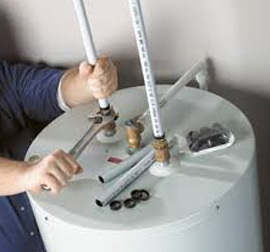 We are also one of the top water heater repair and installation services in the area. If you’re in the market for an advanced, well-functioning water heater, get in touch with us and we’ll be happy to help you out.